Here's a little story about distraction. Having ADHD means that I spend a lot of time getting distracted, then getting back on task. Some distractions turn out to be cool, like my current middle grade novelette about a kid detective, and some are not so cool, like the urge to organize my books by color into a giant color gradient. I have learned to suppress the not so cool urges. One urge I don't suppress is my occasional impulse to leave a cheeky app review on the iTunes App Store. I leave serious reviews for apps that impress me, but cheeky reviews for those that don't. I'm sure the app devs love them. 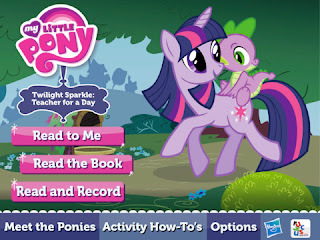 My latest review was inspired by the petulant 1 star comments left on the My Little Pony interactive ebook. You may not be aware, but there is a large fan base of 20-somethings who enjoy the latest incarnation of My Little Pony, created by Powerpuff Girls story writer, Lauren Faust. 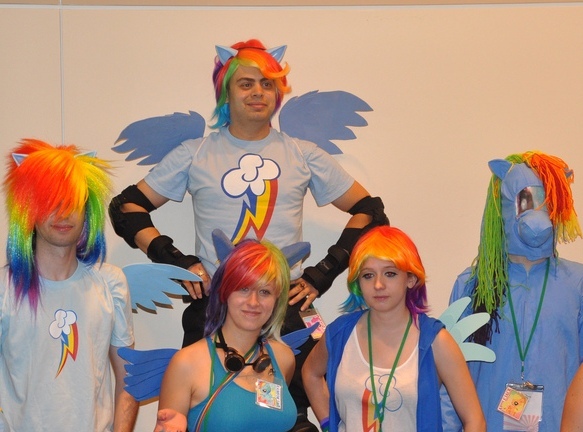 These fans, usually guys, call themselves bronies. Not all bronies are unhinged crazies. Many are very creative. Besides, have you seen football fans? But some of the angry reviews had the entertainingly embarrassing appeal of personal ads on Craigslist. I had just purchased the ebook for my 10 year old My Little Pony fan. I opened the ebook and was immediately taken to a web page in mobile Safari instead that said "Thank you." The site was a marketing firm's site so I was a bit alarmed, especially considering the recent brouhaha over iPhone address book pilfering. I popped back over to the iTunes store to see what users were saying about the opt-in process. Instead, I found users angry at the app for another reason: there was no fan appeal for 20-something adults. Instead we got a cute interactive picture book with cut scenes from the movie and mini games to play that let kids collect items for their diary. Video cut scenes? What's up with that? This app took forever to install with my 28.8k baud connection. And the vids weren't even HD. Have some respect for us true fans. Who cares about the mysterious opt-in via Safari to a marketing firm's website? Where's our Canterlot cosplay cat house? Like or raise a hoof if you agree. I rated the app 4 out of 5 stars. Not sure if this is one of my finer moments, but I share it with you because I have received some touching but concerning emails from folks who are quite down on themselves for having ADHD. They haven't come to accept it as a part of them, but instead are focused on how Adult ADD has made life difficult. And because I blog about ADHD in a semi-lucid manner, some have put me up on a pedestal. First, let me say "Thank you." I love the view from up here. However, give me time and I'll fall right off that pedestal. All you have to do is plan on seeing a movie with me and you'll want to brain me with that pedestal. Even though I am not (usually) late to movies anymore, my infamous tardiness has so scarred my friends that they feel we are late even when we are early, simply because I am there. But forget about that. Look at what I wrote instead of working on my new short story about a kid detective. This wasn't a cheeky but therapeutic review to help me let off some steam. This was a gleeful distraction. It was fun to write, but I can't pretend it helped me get closer to the end of my novel. However, I'm not beating myself up about it. There is always tomorrow, and I'll especially stay away from the iTunes App Store when the sun rises. Distractions happen. Stupid projects are begun. Focus is changed on a whim. This is the nature of ADHD. You can't always avoid it. Accept it as part of the problem, and learn how to compensate for it. And since distraction is going to happen again, learn to not beat yourself up over it. You will find laughter helps lift your spirits where you might otherwise feel stupid. And having a good attitude helps you bounce back and refocus much better than self-flagellation. Liking yourself despite your ADHD is key to overcoming the ADHD. This is what I have learned over time, and it has helped me be happier and far more productive than any self-hate ever has. And besides, laughing at my mistakes instead of punching myself in the face has helped me become the cheeky git that developers world wide are thrilled to hear from. And then, when I finally publish a book, karma will send a cheeky git my way to make my day. See? It's all good. Follow me on Twitter as @SplinteredMind. I also explore iPhone photography with Instagram as douglascootey (peek). 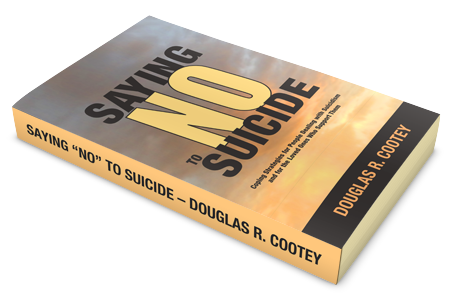 And if you're a glutton for punishment you can friend me on Facebook as well, or find me on Path where I explore my coping strategy process with varying results..